We meet at 14:00 in the Cafeteria and there’ll be two handicap races on a triangle course, with the first race starting at 14:30. 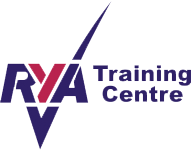 The racing will follow on from the Club Coaching sessions, and is intended to be suitable for intermediate standard sailors and above. Seasoned Sunday racers are welcome to join in, and perhaps provide coaching tips for others, or give their crews a chance to helm! Afterwards, there will be an opportunity to meet, de-brief and have some tea and cakes in the Cafeteria. NB – Hire fees apply for use of Club boats. Boats need to be booked and paid for at the Office before going on the water.